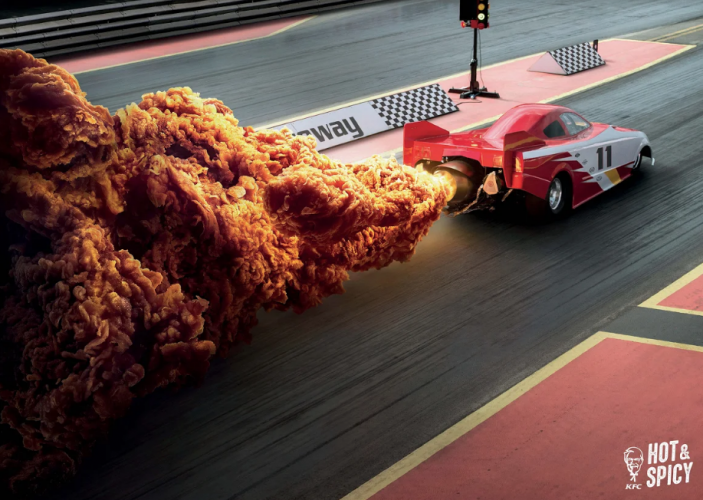 Ogilvy & Mather has launched a new campaign for KFC in Hong Kong for their signature Hot & Spicy recipe. 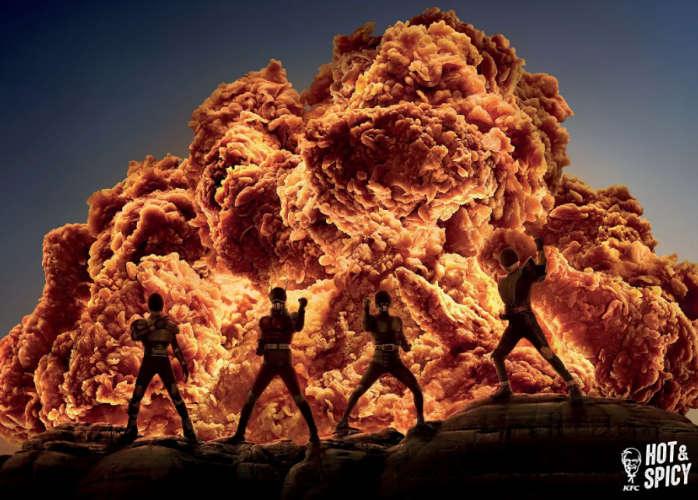 The campaign visually brings to life the hot sensation of the product with real-life fireballs. 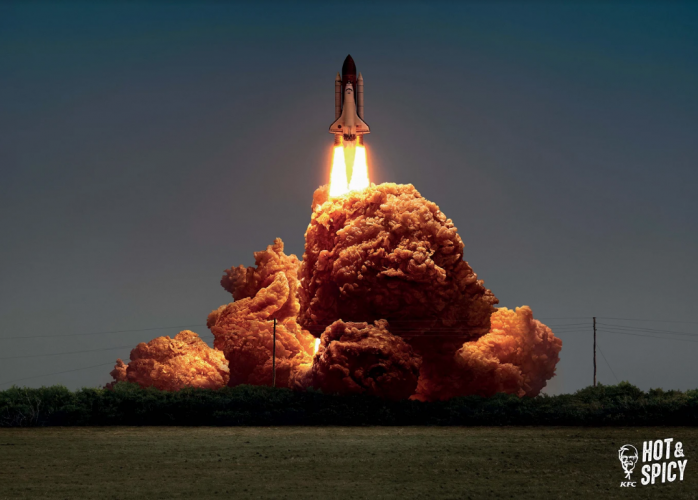 The three key visuals – Space Shuttle, Dragster, and Heroes – seamlessly swaps out explosions with the real product, photographed under lighting conditions that replicate each of the chosen scenarios. The campaign has launched in-store across more than 60 branches across the territory, and is complimented by print advertising, online promotions, and key outdoor media which will launch in the coming week.